In Scotland more men than women take part in physical activity every week. Women are missing out on the physical, mental and well-being benefits of sport. Netball is a female dominant sport and the Siren’s franchise are committed to enhancing the lives of young people through sport and physical activity; providing them with the information and advice they need to fulfil their potential. With our unique understanding of women’s lives and perceptions we utilise our positive role models who have faced barriers and gone on to achieve success in sport to drive positive change. To get the disengaged, engaged and the inactive, active. 6-week programme delivered by a Sirens for Success Ambassador which may be a current Siren and National player. Each school will receive a weekly session which will include an interactive educational module and practical session. The educational modules that are covered within the 6 weeks are: Alcohol, Smoking, Resilience, Body Confidence, Exercise and Healthy Eating. 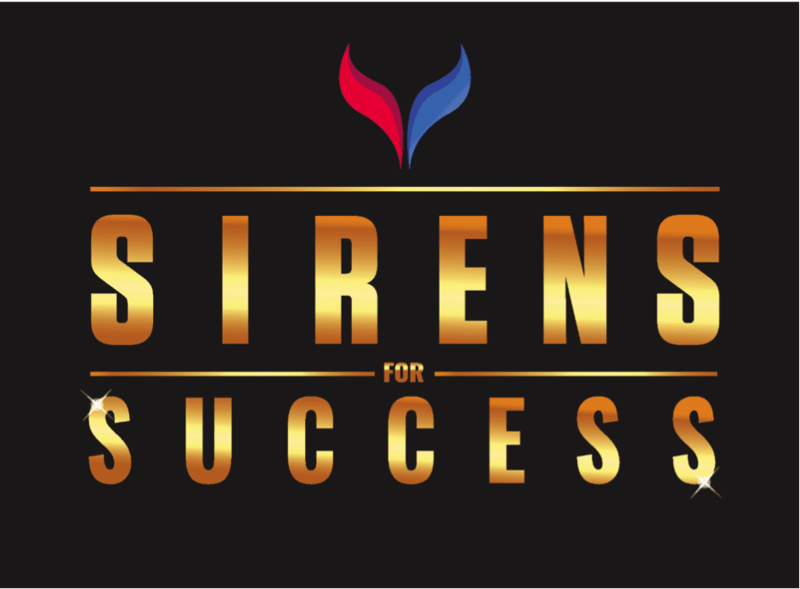 At the end of the block each school will be invited to participate in a Sirens for Success Festival. Early this year, Netball Scotland secured additional funding through programme partners Spirit of 2012 which enabled us to deliver the Sirens for Success content in a further 9 Local Authorities across Scotland. 400 teenage girls will be going through the programme, delivered by Strathclyde Sirens and Scottish Thistles player Emily Nicholl. Off the back of the programme’s success to date, Spirit of 2012 have invested additional resource into Sirens For Success, meaning that Netball Scotland have been able to educate more of our Strathclyde Sirens athletes, and we are now able to offer this programme to even more girls across Scotland. 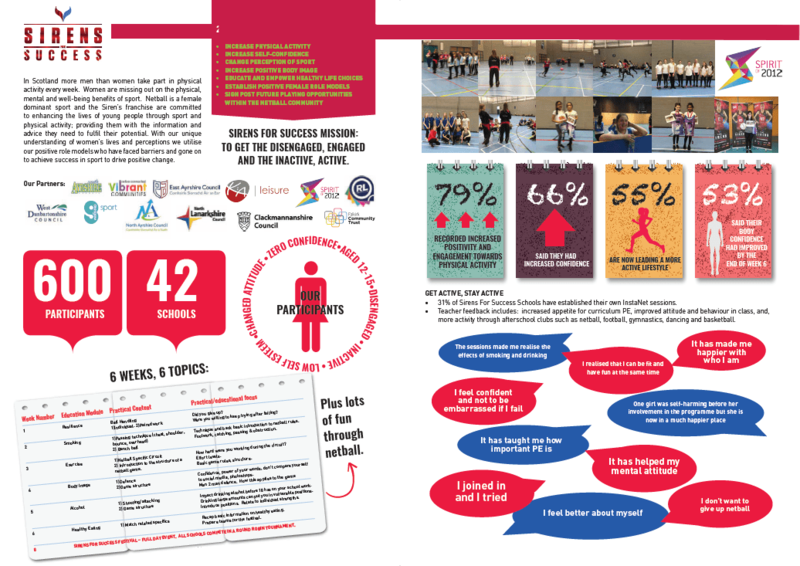 Netball Scotland are now offering a co-funded product to Secondary Schools across Scotland who are interested in captivating and re-energising targetted pupils who are on the verge of becoming disengaged with PE and wellbeing. Each school would nominate up to 20 S1 to S3 pupils for the 6 week programme which includes all required equipment, an end of programme festival and Netball Leaders resource. The key focus of which is to get more girls more active.